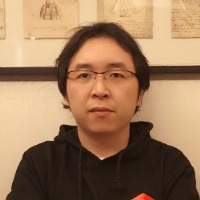 Ed Huang (twitter: @c4pt0r) is the co-founder and CTO of PingCAP and the Chief Architect of TiDB/TiKV. He’s a former infrastructure engineer, lifelong hacker, and open-source fanatic. Three years and two big releases later, TiDB 2.0 is now deployed in-production in more than 200 companies. Along the way, our team answered many questions from our users as they evaluated TiDB and other distributed databases. Choosing what to use in your infrastructure stack is an important decision and not an easy one. So I’ve gathered our learning from over the years, and summarized them into the following questions that every engineer should ask when looking at a distributed database. 1. Why Is the Distributed Database Not a Silver Bullet? If your data can fit on a single MySQL instance without too much pressure on your server, then a distributed database may not be a good choice. MySQL and TiDB are not mutually exclusive choices. In fact, we spent an enormous amount of work helping our users continue to use MySQL by building tools to make the migration from MySQL to TiDB seamless. This preserves the option of simultaneously using MySQL for single instance workloads where it shines. There are several reasons why you’d want to separate SQL from the underlying storage. Easy Maintenance. We separated the TiDB platform’s SQL layer (stateless and also called TiDB) from its storage layer (persistent and called TiKV) in order to make deployment, operations, and maintenance more simple. It is one of the most important design choices we made. This may seem counter-intuitive (don’t more components make deployment more complex?). Well, being a DevOps isn’t just about conducting deployment, but also quickly isolating issues, system debugging, and overall maintenance — a modular design really shines in supporting these responsibilities. One example: if you found a bug in your SQL layer that needs an urgent update, a rolling update can be quite time-consuming, disruptive, even risky, if your entire system is fused together and not layered separately. However, if your SQL layer is stateless and separated, an update is easy and doesn’t disrupt other parts of your system. Development Flexibility and Efficiency. Using a separate key-value abstraction to build a low-level storage layer effectively increases the entire system’s flexibility. It can easily provide horizontal scalability — auto-sharding along the keys is more straightforward to implement than a table with complex schema and structure. A separate storage layer also opens up new possibilities to take advantage of different computing modes in a distributed system. TiSpark, our OLAP engine that leverages Spark, is one such example, where it takes advantage of our layers design and sits on top of TiKV to read data directly from it without any dependency or interference from TiDB. From a development angle, separation allows multiple programming languages to be used. We chose Go, a highly efficient language to build TiDB and boost our productivity, and Rust, a highly performant systems language to develop TiKV, where speed and performance is critical. If the entire system isn’t modularized, a multiprogramming language approach would be impossible. Our layered architecture allows our SQL team to work in parallel with our storage team, and we use RPC (more specifically gRPC in TiDB) for communications between the components. 3. Why Isn’t Latency the Premier Measuring Stick? Many people have asked me: can TiDB replace Redis? Unfortunately no, because TiDB is simply not a caching service. TiDB is a distributed database solution that first and foremost supports distributed transactions with strong consistency, high availability, and horizontal scalability, where your data is persisted and replicated across multiple machines (or multiple data centers). Simply put, TiDB’s goal is to be every system’s “source of truth.” But to make all these features happen in a distributed system, some tradeoffs with latency is unavoidable (and any argument to the contrary is defying physics). Thus, if your production scenario requires very low latency, say less than 1ms, you should use a caching solution like Redis! In fact, many of our customers use Redis on top of TiDB, so they can have low latency with a reliable “source of truth.” That way, when the caching layer goes down, there’s a database that’s always on with your data — consistent, available, and with unlimited capacity. 4. Is Range-Based Sharding Better than Hash-based? 5. Why Is Scalability So Important for Business? When a company starts out small, any database and infrastructure would work, but when that company starts to experience explosive (often unexpected) growth, your choice of infrastructure technology matters a great deal. Making the right choice that can easily scale in either direction depending on your business needs could mean the life and death of your company. We all remember Twitter’s infamous “fail whale” when that service was constantly going down due to not just user growth, but also poor infrastructure. When your database becomes the bottleneck, the solution is not to manually shard your tables, sacrifice relational capabilities, make a bunch of copies of the same table, and rinse and repeat this vicious cycle. The correct (and most cost-effective) way is to use a distributed database that scales elastically, so all you have to do is add new machines to increase capacity. Adding more machines may seem like a growing cost, but it’s far cheaper comparing to what you save in human resources and the precious engineering time you need to respond and adapt in a competitive environment. When we first started designing and building TiDB, we carried a lot of these lessons, from both our own experiences and other fellow DBAs and infrastructure engineers, with us. A truly useful and robust distributed database should instantly solve scalability bottlenecks and render all the “quick fixes” like manual sharding obsolete, so application developers can focus on doing what they do best — serve customers and grow the business, not managing database shards. Recently, we’ve seen two of our users, Mobike (dockless bikesharing) and Zhuan Zhuan (online marketplace), do exactly that. 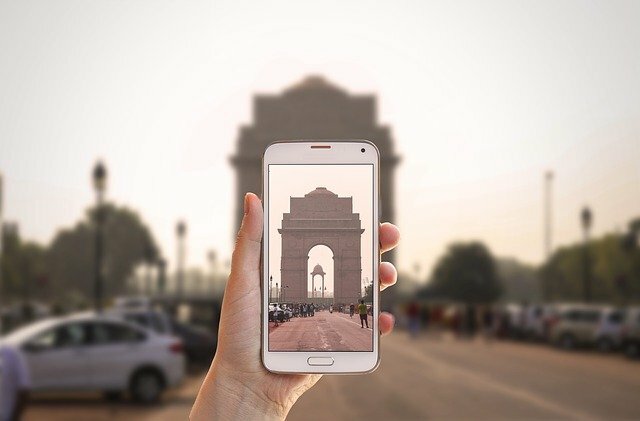 Both companies have been experiencing explosive growth, and because they deployed TiDB right as this growth was taking off, their database infrastructure was not the bottleneck that prevented them from growing the way they did. In fact, Zhuan Zhuan is all-in on TiDB, because it knows that a well-built distributed database is mission critical to its future.